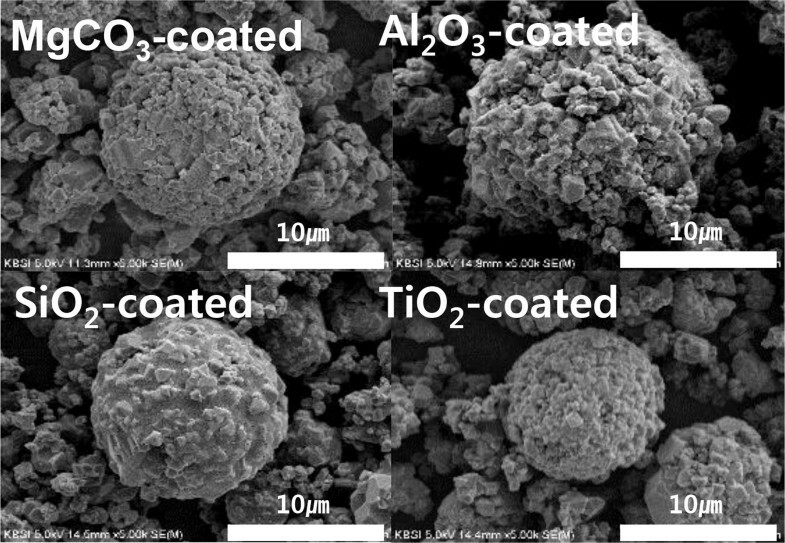 In this study, LiNi0.5Mn1.5O4 was prepared by solid-state synthesis method and MgCO3, Al2O3, SiO2, TiO2 were dry-coated on the surface of LiNi0.5Mn1.5O4. The structure and geometry of pure-LNMO and coated-LNMO were characterized by XRD, SEM, SEM–EDS. Dry coating method was applied and various coating materials were evaluated in terms of the stability study at room/high temperature and electrochemical property. The results of XRD and SEM–EDS demonstrated that MgCO3, Al2O3, SiO2, TiO2 were coated on the LiNi0.5Mn1.5O4 surface without any structural changes. Compared with pure-LNMO, the coated-LNMO shows significant decrease in side-reaction with electrolyte solution at the first cycle of the electrochemical test. In addition, coated-LNMO displays prominent thermal-stability at 25 °C and 55 °C and high c-rate, compared with pure-LNMO. Especially the coating layer of SiO2 inhibits the side-reaction with electrolyte solution induced by initial moisture formation. Therefore, the stability of capacity is significantly improved at the temperature of 55 °C and high c-rate, which are same results with those obtained by the electrochemical impedance spectroscopy results. 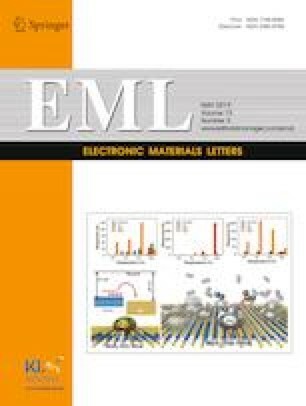 This study has employed solid-state synthesis and dry coating method for the evaluation of various coated-LNMO materials and demonstrated the possibility to develop new high energy density electrode materials by surface modification. This research was supported by National University Promotion Program through the Pusan National University of Korea.